Our club members were given a special tour of Forsyth County’s newest High School, Alliance Academy for Innovation, this week. The Academy is the future of tomorrow’s schools. Check out their website for more information about their curriculum and culture. 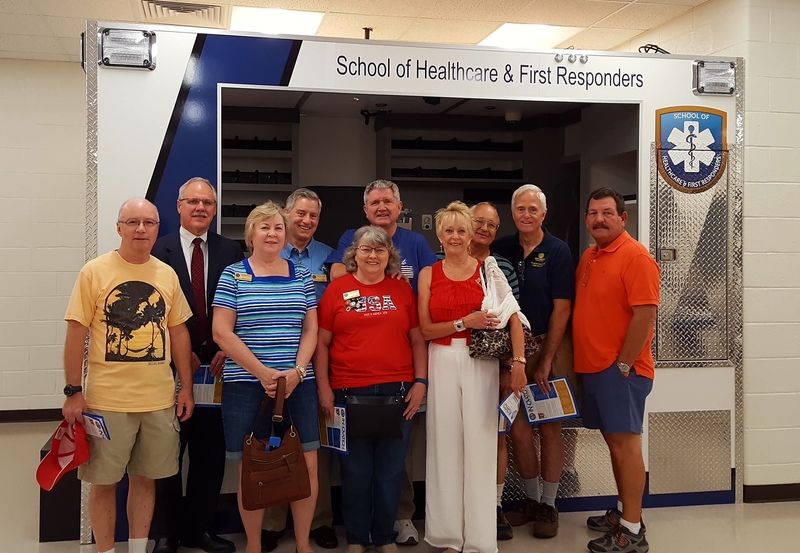 Click here to see a photo of our group in front of their mock ambulance. Thank you, Dr. Bearden and Alliance Academy, for arranging this wonderful tour for us! So thankful for our Optimist Club as well. Love the website! Looking forward to the opportunities opened up to our high schoolers with the establishment of Alliance Academy in our county.